John Adams is one of the most notable patriots from Boston, Massachusetts during the American Revolution. A Harvard-educated lawyer, farmer and U.S. ambassador, he later became the second President of the United States after serving as George Washington’s Vice President. Born on October 30 in 1735 in Braintree, Massachusetts, Adams was the son of Deacon John Adams and Susanna Boylston of Braintree. The Adams family was an old English family descending from Mayflower pilgrim John Alden. John Adams was also the cousin of Samuel Adams. 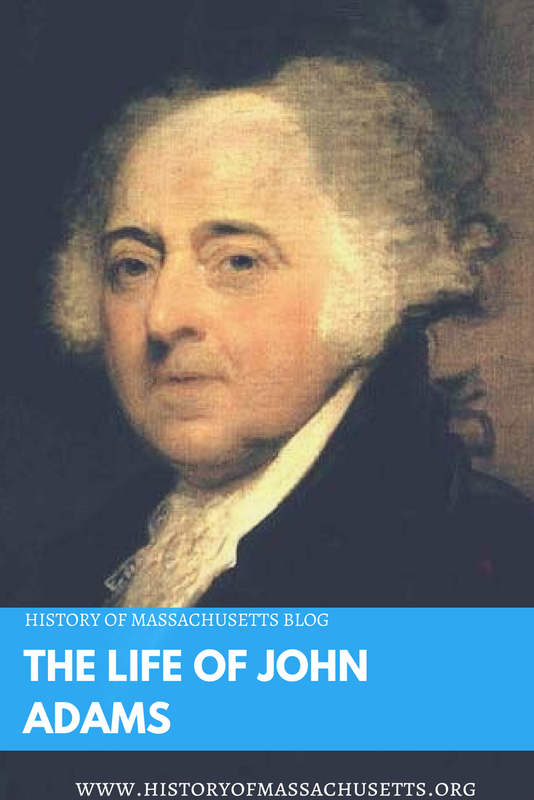 Although John Adams intended to join the ministry like his father, after graduating from Harvard he instead started practicing law in Boston in 1758. In 1764, Adams met and married a minister’s daughter from Weymouth named Abigail Smith, who had a reputation for being an independent, well-read and educated woman. Together they had six children. 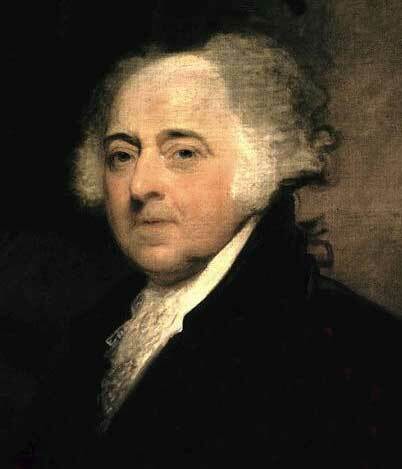 During the 1760s, John Adams became a visible member of the resistance movement against the British government and was a member of the Sons of Liberty. He fully opposed Parliament’s plans to tax the colonies with the Stamp Act and the Townshend Act and wrote a dissertation justifying opposition against these acts. Despite his hostility towards the British government, Adams agreed to represent the British soldiers involved in the Boston Massacre in 1770. With his help, most of the soldiers were found not guilty and the two who were convicted escaped the death penalty. Although representing the soldiers made him temporarily unpopular in Boston, Adams felt it was the right thing to do. In 1774, Adams was elected to the Massachusetts delegation where he nominated George Washington to command the newly created Continental army and selected Thomas Jefferson to draft the Declaration of Independence. Adams himself was chosen to write the Massachusetts Constitution, which effectively ended slavery in the state. He later served as an ambassador in Europe, alongside Benjamin Franklin, raising funds and supplies for the revolution and eventually negotiating a peace treaty between the United States and Britain. After returning home from Europe, Adams served two terms as George Washington’s Vice President and was elected president himself in 1796. During his presidency, Adams was heavily criticized by his enemies such as Alexander Hamilton. He signed the controversial Alien and Sedition Acts in 1798, which imposed strict rules and regulations against immigrants and made it a crime to publish false or scandalous material against the president. Adams also built up the army and navy between 1798 and 1800 to prepare for a possible naval war with France, known as the Quasi-war, but ended the conflict peacefully. In 1800, John Adams lost reelection to his old friend Thomas Jefferson and retired to his farm in Massachusetts. Adams suffered some personal tragedies when his son Charles died from complications of alcoholism in 1800, his daughter Abigail died of breast cancer in 1813 and his wife Abigail died of typhoid in October of 1818. About 12 years after leaving office, Adams finally revived his old friendship with Thomas Jefferson and the two remained friends until their deaths. Years later, his son John Quincy Adams became president in 1825. John Adams died of heart failure at the age of 91 on July 4, 1826. His last words were “Jefferson lives”, not knowing that Jefferson had died just a few hours before him. John Adams was buried in Hancock cemetery but later moved to the Church of Presidents in Quincy, Mass. One of the best ‘short’ backgrounds on John Adams – very well written and also – interesting ! NICE JOB.